Now is the time to reap your reward. You’ve put the ‘hard yards in’ over the winter, going out in all weathers and, failing that, churning out the watts through a sauna fog of sweat on your home trainer. The kilometres have been carefully accumulated, the strength maintained and, perhaps, enhanced as the training starts to take effect. Now, at last, and not a moment too soon, the clocks have sprung forward, there’s a stretch in the evenings that is positively grand and to go with it we’ve been treated to a little mini heatwave to kick start the final phase of preparation for the big day. Even if the winter hasn’t gone precisely to plan – that cold that put your training back by a fortnight, the mechanical issues that kept the bike in the shed on too many days and even that little bout of SAD that prevented you from getting on the bike as often as you would have liked are depressingly familiar to all of us – now is the time to kick start the final push to glory. Even if everything has been going swimmingly (and if it has, celebrate it, because you’re almost certainly in the minority! ), there is much to be done in the next 10 weeks and much that can be achieved. 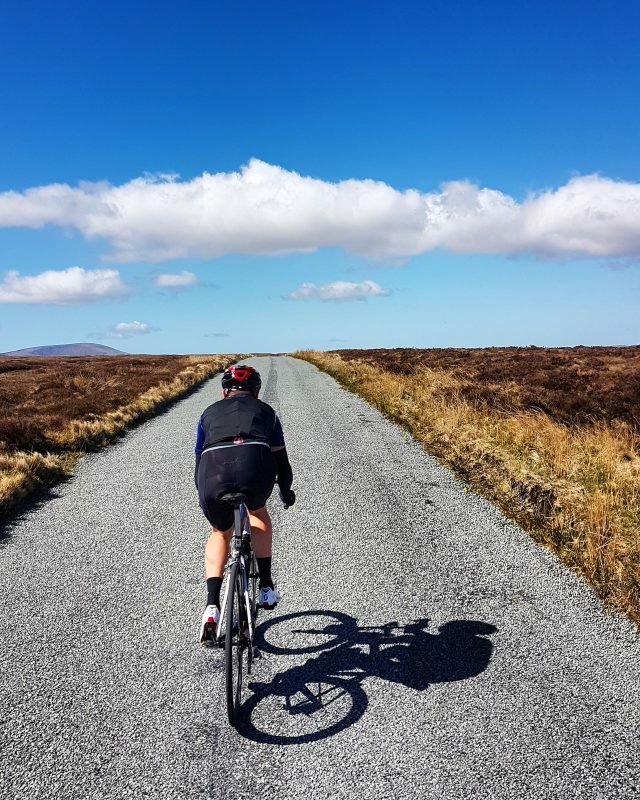 The switch back to summer time opens up the delightful possibility of evening training and the chance to ride on the road more often than just those weekend spins is sure to offer a shot of motivation to both the training laggard and the super focused alike. Just remember to stay wrapped up well. The sun that fuels your enthusiasm is often accompanied by a biting east wind. More than anything embrace the temporal adjustment and the climatic transition that partners it. As the weather improves, hit the hills to recce the key elements of the route for the big day. Okay, let’s not delude ourselves that the good weather arrives with an automatic binary shift from the winter drudge. But you can be confident that there will be more opportunities to stretch the legs on the more remote and beautiful roads in the coming weeks and that can only be a good thing. Enjoy the bike now more than ever. You deserve it!